On a normal day you’ll find me with my laptop typing away at some Vue.js code. 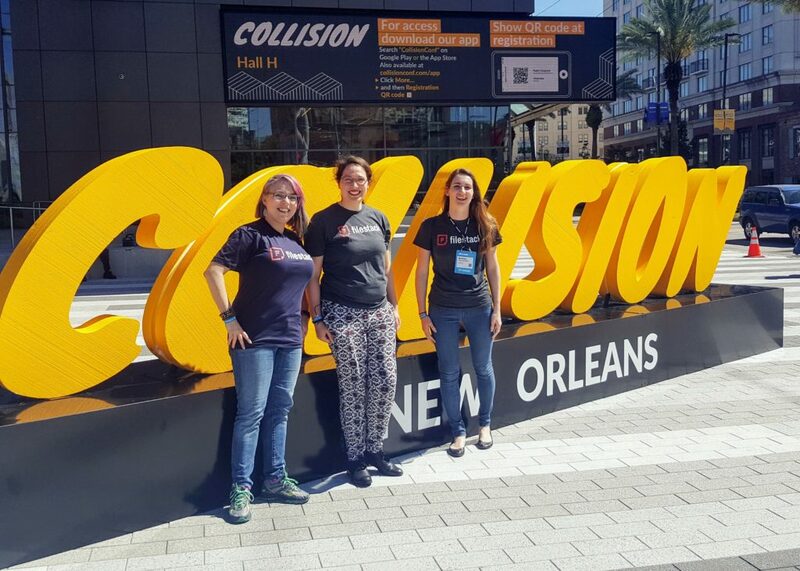 During the week of May 1st a few members of our team at Filestack attended Collision Conference in New Orleans. I knew there would be many presentations on SaaS and API integrations, so I was excited about the conference before I even arrived. 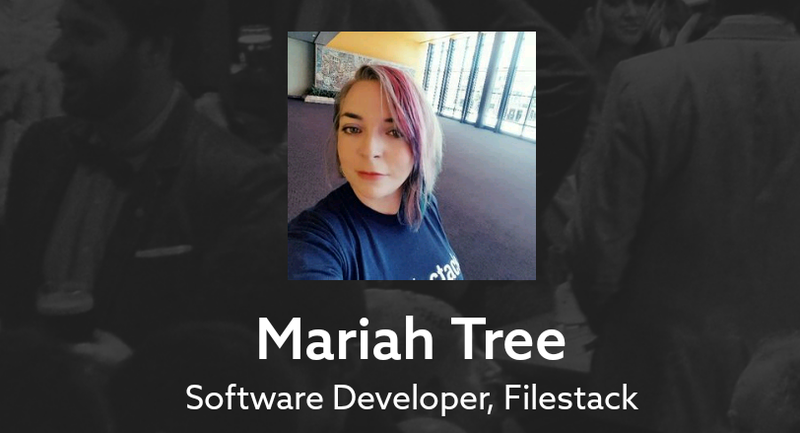 One of the most appealing aspects of the conference for me is that there were people from all sorts of roles attending, which meant as a developer I would get to hear new perspectives that I don’t always have time to listen to when my main task is to focus on shipping my code. Everyone in attendance at the conference was required to use the Collision App in order to register. Fun fact, the app developers integrated our Filestack picker in their application to easily upload avatar photos from the user’s preferred source. My Collision Profile Page – created with Filestack! The biggest things I went looking for in the talks I attended were fresh ideas about how Filestack can best serve customers. I also hoped for innovative ideas about data management, both for our internal purposes, but also as a means to offer our customers relevant information about their content. I found so many of the Collision talks fascinating, but a few stood out to me and made me want to incorporate their ideas into the team dynamic at Filestack. One of my favorite actionable ideas came from a talk about keeping remote teams agile. The team at inVision uses a Slackbot to randomly match workers for “coffee dates.” Some of our best feature ideas and product revelations come from spontaneous conversations in the office. Half of our Filestack team is in San Antonio TX and the other half is in Krakow Poland. One of the side effects of this is that we recently discovered a bad case of Slack channel creep. More channels don’t always mean more valuable conversations. I’ve already started thinking of ways to use technology to create more authentic and casual discussions for our team regardless of physical location. Thanks Bjorn Freeman-Benson! Edith Harbaugh from LaunchDarkly spoke about how more frequent software releases can keep customers happier. Waterfall releases have gone the way of the dinosaurs. She also keyed in on the importance of knowing your customer base and prioritizing feature releases based on that knowledge. This is definitely something we are focusing on at Filestack, which I hope has been evident with the release of our V3 file picker, and fast follow features, like the Filestack Content Ingestion Network (CIN) which increases upload speeds for our users with global customer bases. Another touch point that Harbaugh hit was that not all customers need all features. The better we know our customers the better we can determine their need for specific features. Many panels also discussed the importance of not only attracting new customers, but keeping existing customers happy. At Filestack we are proud of our high customer retention rates. We want you to not only use our code tools, but to be so pleased with the process that you consider yourself a Filestack fan! I also attended the sessions where Chris Sacca, Wyclef Jean, Sophia Bush, Alysia Reiner and Alexis Ohanian spoke. Each of them presented on the center stage at the end of the day. What I found to be truly inspiring about each of these speakers was their openness and authenticity. Each individual has an entirely different role when it comes to technology and their core communities. 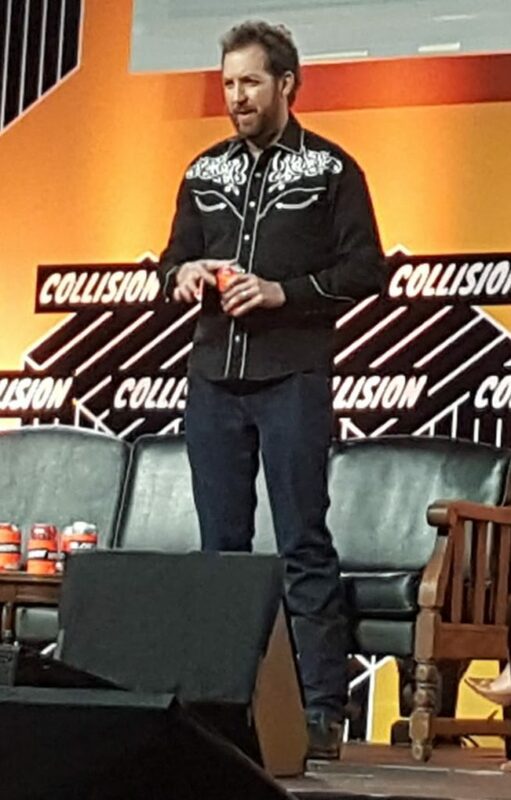 Truly Collision Conference is all about bringing diverse parts of the tech world together for powerful discussions to move the industry forward. For me, the celebrity speakers drove home this mission by bringing their experience and knowledge to the discussion at the same time they demonstrated the importance of listening to other perspectives. Collision Conference for me was a wonderful experience. I had the amazing opportunity to see the diversity that New Orleans offers in food, culture, and music. I was able to spend casual time with my coworkers and really get to appreciate the work they do every day that makes Filestack the company that I love working for. 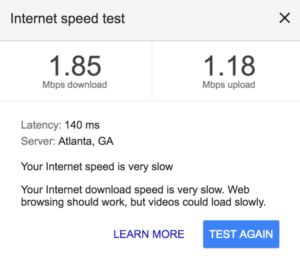 I was able to test our our CIN in real life and see that it reduced upload time on a 31MB photo from 3 minutes to only 45 seconds on when I was on some REALLY slow wifi. I came back to my daily Vue.js coding feeling truly inspired about the features that I work on every day and motivated to keep pushing the best code possible for our Filestack fanbase.